"What is the MIDI Trombone?" This CD offers a variety of answers to this question in a selection of works that combine new digital technology with the traditional trombone. 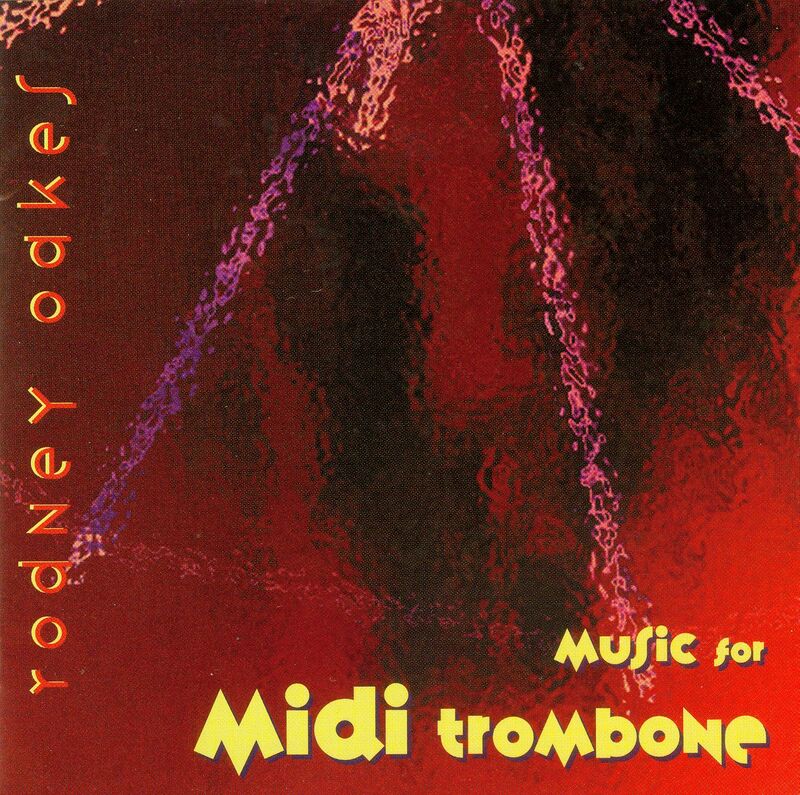 These seductive, rhapsodic, jazz-inflected solos, some of which generate their own accompaniments, represent the culmination of 30 years of experiments and explorations by Los Angeles virtuoso Rodney Oakes. While teaching computers and music as a Senior Fulbright Lecture in 1991 at the Academy of Music in Cracow, Poland, Oakes first used a Pitch-to-MIDI converter to control electronic synthesizers by playing the trombone. This led to a new approach and the creation of a number of new works for the MIDI trombone, including the on-going guitar and MIDI trombone duo, OG O GO, a collaboration with Igor. Some of the works on Music for MIDI Trombone use prepared electronic accompaniments, some are controlled by the trombone, while others are purely electronic works. The MIDI Alp Horn puts in an appearance on Soliloquy.